Richmond Park has a great variety of trails, pathways and roads that are all accessible for cyclists. The terrain is undulating and can provide challenging and interesting cycling. The road circuit is enjoyed by many cyclists daily and is used extensively a training circuit for road cyclists. The roads have a speed limit of 20mph however. 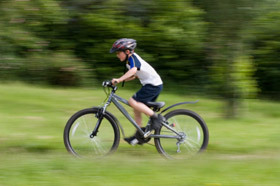 Apart from the main roads there are a number of other pathways and trails that are more suited to trail bikes. There are designated routes and the Park's Regulations (see link) restrict bikes to these trails only – no "off-roading"! Many of these routes are shared pathways and therefore for safety reasons speeds are limited to 10mph to protect other users such as runners and walkers. The above speed limits are enforced by the Park’s police – you have been warned! 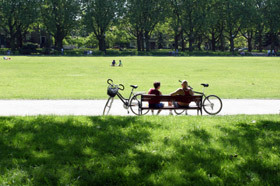 Parkcycle can help you should you need a minor repair or puncture fixed. Parkcycle can also provide some essential cycle accessories such as tools, inner tubes, tyres or even a new helmet - please have a look at our range. Hydration, refreshments, energy bars and gels are also available!